Publishing your views on trending health care topics can markedly increase website traffic. Russ and Randy discuss this "newsjacking" strategy. 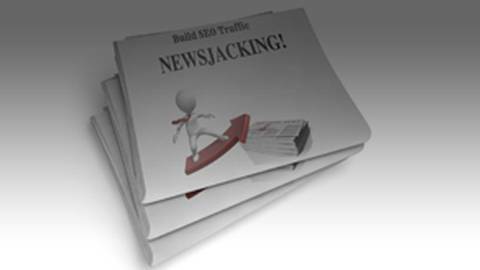 Newsjacking can increase your SEO and website traffic by injecting your own thoughts and ideas on trending news stories. Health care newsjacking works the same way, culling the web for trending health care topics and then writing about them for your clinical blog. Though similar to curating, newsjacking differs in that stories are published more timely. In fact, the best time to release a newsjacking story is before it even becomes a trending topic. Russ and Randy discuss some best practices to newsjacking: how to monitor the web, tools to use, and how to efficiently keep up with current events.